Water Filtration System For Home - Is It WORTH The High Cost? 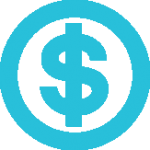 Home Water Filters Whole House Water Filter Reviews Water Filtration System For Home – Is It WORTH The High Cost? Water Filtration System For Home – Is It WORTH The High Cost? Water is a fundamental human need. In fact, the United Nations currently recognise access to water as a basic human right. We all know that we need to drink a certain amount of water on a daily basis. Of course the best way to do this is to first calculate the correct daily water intake amount. However, drinking water aside, did you know that every person needs about 20 to 50 liters of clean safe water each day for things like bathing, cleaning and cooking? Countries like America and the United Kingdom suffer from hard water, contamination from environmental, biological and even industrial pollution. Note: every source of water contains some level of contamination – it’s just that some water sources are more contaminated than others. Get a water testing kit to be sure if you are worried about how much contamination there in your water. This should not be surprising because contaminants in water are not just from pollution, old plumbing systems but also from naturally occurring minerals. Consuming tiny amounts of contaminants in water is usually not a problem. However, repeated exposure over a long period of time can be problematic. 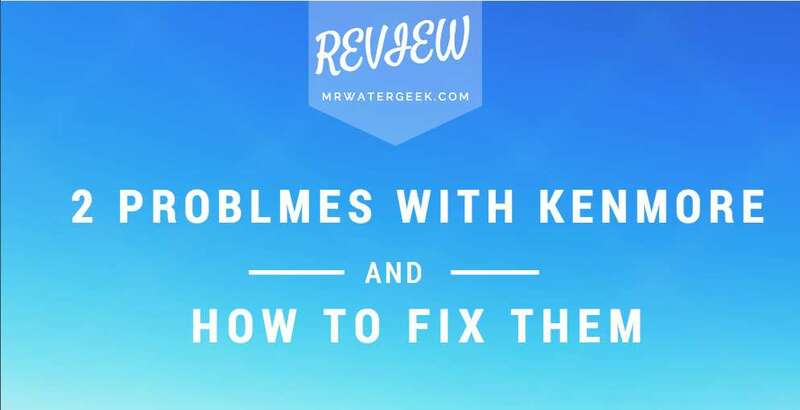 There are many solutions to getting filtered water. Usually cheap, temporary but won’t cover all the water sources in your home e.g. water filter jugs. If you want to benefit from getting clean filtered water in your whole home then you need to get a whole house water filtration system for home. Interested? Then let me tell you everything you need to consider and which is the very best water filtration system for home. 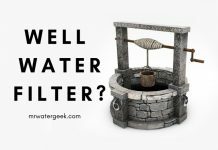 The HIGH Cost – Are Whole House Water Filters Worth it? Why is Aquasana Rhino EQ-1000 WORTH The High Cost? 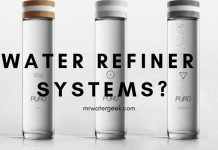 Which is The Best Water Filtration System For Home? 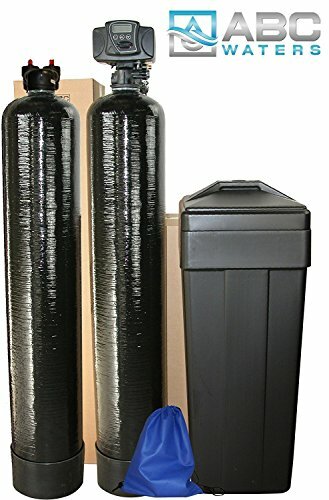 Heavy duty whole house filter system – as the name suggests this is for households that have mild to serious water contamination. This can also include public premises with high water usage like offices and government buildings. 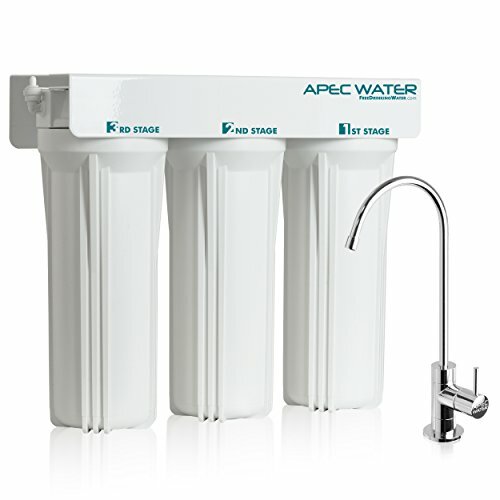 These are usually the highest performing water filters and can handle large capacities with bigger storage capabilities. The higher initial cost is offset by quality and durability. For instance, a heavy duty filter media cartridge can provide you with protection for up to 10 years before you need to replace and buy new ones. How much contamination is in your water? – Knowing this is important so that you can get the right whole house filtration system that will remove the specific contaminants affecting you. 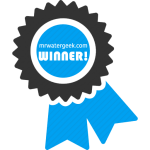 Check for further accreditation – Apart from reading genuine reviews, one way to check the quality of a whole house water filter is to look for outside certificates. Personally, I tend to lean towards water filter systems that have NSF (National Sanitation Foundation) certifications. Seeing this recognition means the NSF have tested and certified the quality of the filters based on how well they reduce contaminants. Find out with a water test kit – your first step should be to get a water test kit and see what you are up against. If this seems like too much work then don’t bother with a test. Simply buy a heavy duty whole house filter that can handle everything. 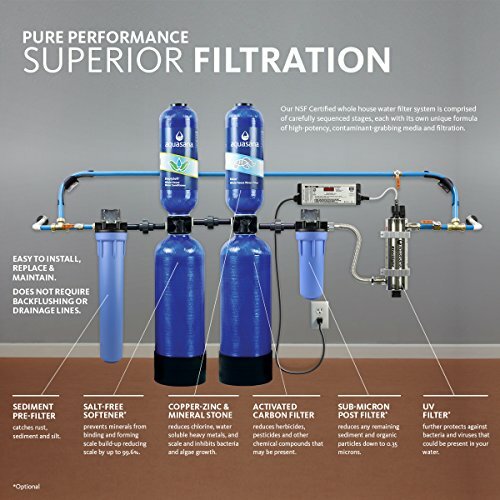 It can sometimes be difficult to find the right water filtration system and find which one will best suit your needs. This is because not all whole house filters are effective on all contaminants. This is why getting a water test kit can be so useful. 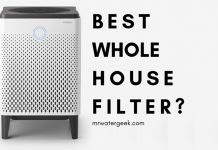 Knowing the specific contaminants that are an issue for your home makes it easier to find the right whole house water filter. Once you know what you need to filter out, you just need to find the right water filtration system for home that fits. You can even go a step further and find a product with certification proving that it is able to reduce or remove specific contaminants. …filtering out things like scale, sediments and rust. …filtering organic chemicals like industrial solvents like by-products of chlorine and industrial solvents. However, in some extreme and rare cases you may need to supplement the whole house water filtration system for home with a faucet or under-sink filter for cleaner, fresher tasting water. Sadly, this isn’t good for the environment but can be necessary in some cases and also much cheaper / more eco-friendly then continuously buying bottled water. Getting a whole house water filter system in your home help fix issues with the quality of the taste and appearance of your drinking water. 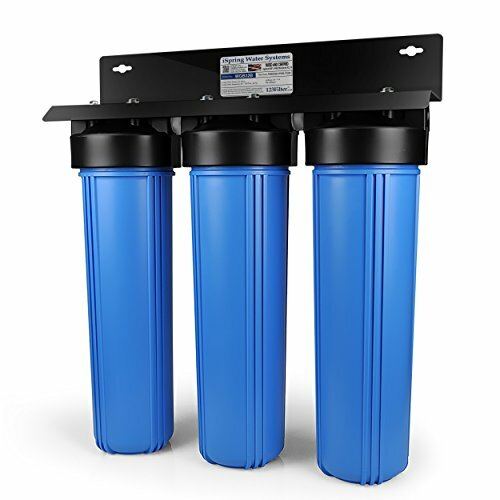 Whole house filter systems are very good at eliminating water contaminants by using a filter that is directly connected to your water line. A direct connection to your pipes and plumbing means all the water that comes into your home will be filtered before it is directed to your faucets, home appliances, bath, shower etc. It leads to less scale in the home and pipes becoming clogged. The result of this is a longer life for your appliances like washing machines, dishwashers, kettles and so on. There will be less contamination in the water you use for baths, showers and laundry. This can have a very positive impact on your hair, skin and clothes. Specifically, you can expect softer, brighter and longer lasting clothing. Filtered water that is also softened means your sink, bath tub, appliances are scale free and your glasses are spotless. If your water filter uses a carbon filter then it will be effective at removing things like chlorine, chloramines, and odor. The outcome is chemical free, clean fresh drinking water for the whole household. An issue with specific water contaminant is easy to resolve if you know what it is. 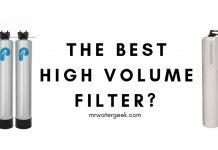 This is because all you need to do is find a corresponding whole house water filter that is able to remove that specific contaminant. Remember that ALL home water filtration systems need continuous and constant maintenance for them to operate properly. You must follow the specific instructions for maintaining the unit. This information will be provided by the machine manufacturer. The water filter membranes, cartridges and other parts need changing on a regular basis as recommended by the manufacturer. 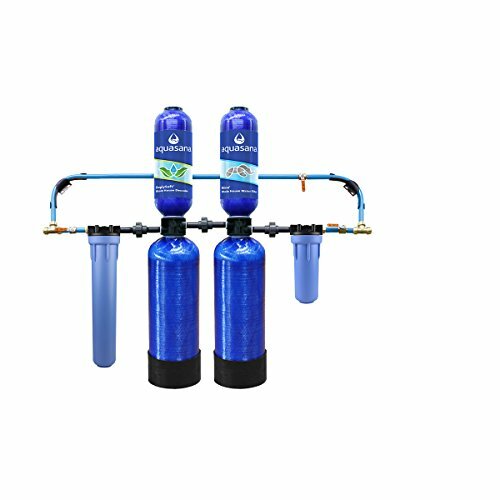 iSpring WGB32B 3-Stage is a whole house water filter system that comes with 20-inch blue sediment and carbon block filters. It has good quality jumbo filters, which reduce and remove the need for frequent maintenance and improve the flow rate. Power purification capabilities that are able to remove the vast majority of contaminants like sediments, rust, chlorine and heavy metals. The iSpring comes with NSF certified gradient filters that remove sediments. This means it has more capabilities for removing and catching more dirt. You can expect a 100000 gallon filtration capacity, which is enough to provide you with a year of safe water (depending on your water quality and usage). One Issue To Note: The iSpring filtration system is essentially a carbon filter system, which means it is good for general filtration needs. However, the issue with this is that is does not focus on specific contaminants. Therefore if you have very specific contaminants that are of concern in your home, it is important that you get a more powerful filtration system that caters to your specific problem. The Aquasana Rhino EQ-1000 is one such example of this. The Aquasana Rhino 10 year 1000000 (1 million) is one of the most popular whole house water filtration system for home. One reason for this is its potent and powerful filter cartridge. It also has a long list of features like a dual tank design, which keeps the water in contact with the filter cartridge for longer. The result of this is a cleaner water and a filtration process that reduces and prevents clogging. Aquasana Rhinos have easy and fast tank replacements that can be done by anyone with or without basic DIY skills. 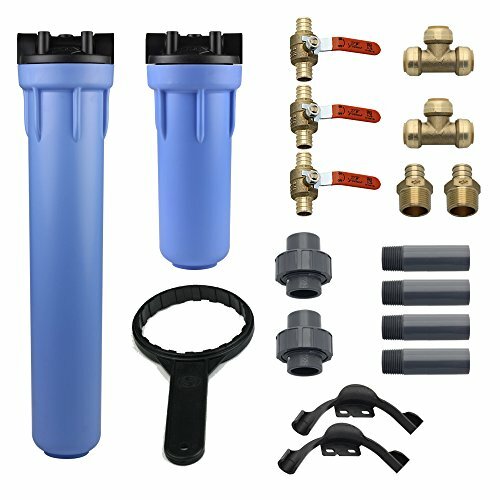 This is unlike some other whole house water filtration system for home that have quite messy complicated filter replacement processes. 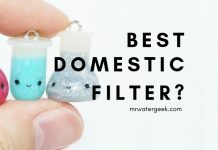 One of the biggest issues with a whole house softener is it does not work as a filter. People often make the mistake of assuming that softeners also filter water too, but most of them don’t. Unless otherwise specified, a water softer will ONLY soften water. This is why getting a whole home water softener is better suited to you if you only have hard water issues, want a scale free environment or need soft water for spotless glassware. However, if you also want to filter your water too then you need to make sure you get the right machine. Unlike almost all whole house water filters and softeners, the Aquasana Rhino does both. It filters AND softens your water too. This combination means every faucet in your home produces soft, fresh and clean water. And I would argue this also justifies the high initial investment you have to make. The Aquasana Rhino EQ-1000 exceeds NSF standards as it removes around 97% of chlorine. And it does this for up to 1000000 (1 million) gallons. Includes a ‘simplysoft salt-free water softener’ and this will help reduce scale in your pipes, plumbing and home appliances. Although it requires a substantial initial upfront investment, it will save you money in other ways. For instance, this whole house filter does NOT use electricity. Neither does it create waste-water, require a drainage, or use back flushing. Did you know that filtering the water in your home helps to improve the air quality in the household because it reduces chemicals that vaporize from your shower steam etc? You will get clean filtered fresh water throughout your home not just from one single faucet. Aside from softening this unit is also able to filter your water by using a high-grade carbon filter. The machine comes with a garden hose adapter, shut-off valve and filter housing wrench. It is true that water from municipal sources sometimes contain lots of contaminants. I have quoted wide scale research studies that look at the quality of tap water throughout the US. For instance, I found chemicals dumped by companies routinely mixed in with the local water supply. Your water is also at risk of contamination from rusty or dirty pipes. Local authorities occasionally add minerals like fluoride into the public water supply. And let’s not even bring up the issue of hard water. Especially as it wrecks havoc on your plumbing and home appliances. The most effective way to combat all these issues is to get a water filtration system for home. This will ensure that you get extra protection for every water source in your home. 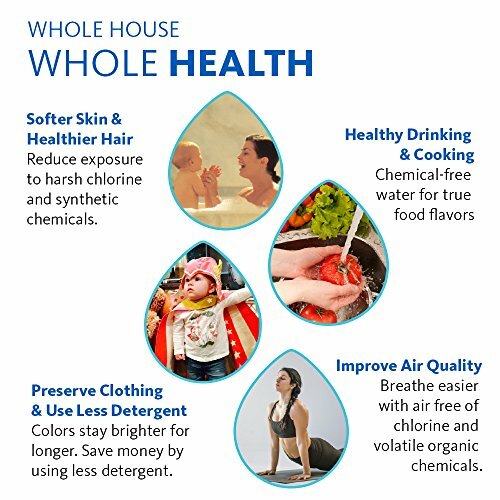 Apart from ensuring you have clean fresh drinking water in your home, getting a whole house filter has many other benefits. Prevents scale buildup, clogging in your pipes and home appliance. It saves money in the long run as you don’t use lots of plastic bottles. Getting a whole house filter like the Aquasana Rhino EQ-1000 both softens and filters with powerful carbon filters. Previous articleAquasana Reviews – Do NOT Buy Before You Read This! Next articleIs Getting A Shower Head Filter Totally POINTLESS And A WASTE Of Money?